Sloth starts working part-time at the cafe, though it doesn't prove easy with his speed. When asked why he wants to work, he says he wants to buy Sasako dinner to repay her for all of her help, though Sasako says she needn't do so as he was the one who helped get her job in the first place. 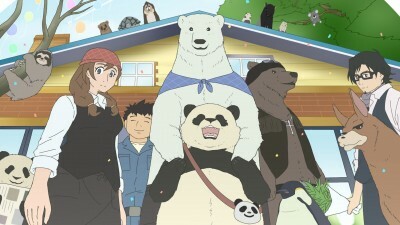 Later, Handa asks for Polar Bear and Lesser Panda's help in figuring out what to get Sasako for Christmas. Despite their plans failing, Handa manages to think of something and ends up giving it to Sasako when he runs into her.